The Pittville History Works group has a number of projects in train at the moment. As well as our big, ongoing census project, we have opened up several other fronts which are likely to produce fascinating results for the website. Firstly, early in December members of the group visited Holy Trinity Church, Portland Street, to investigate and photograph the memorials to former Pittville residents. The photographs were taken by Terry Langhorn and are reproduced by kind permission of Trinity Cheltenham. 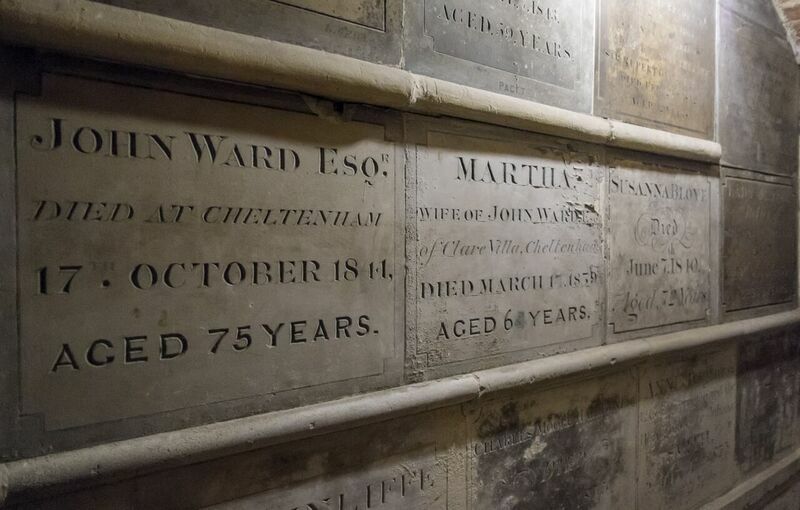 We were working from a list produced by Julian Rawes in the 1980s, and – with the generous assistance of the vicar and his colleagues – we were allowed into the crypt, which contains rows of beautifully inscribed stone coffins. We plan to write an illustrated article for the website linking the memorials with residents who appear on the Pittville History Works website, and also to add similar links if possible from other burial grounds and graveyards in the area which were used by Pittville residents. Sue Dodson’s project to investigate the history of the Wellington door-knocker, of which many examples may be seen around Pittville, is starting to take shape. Sue is keen to obtain as much help as she can with this project, so please read her note at the foot of this message! Recently James Hodsdon wrote a short article for the History Works on John Forbes, the architect of the Pittville Pump Room. 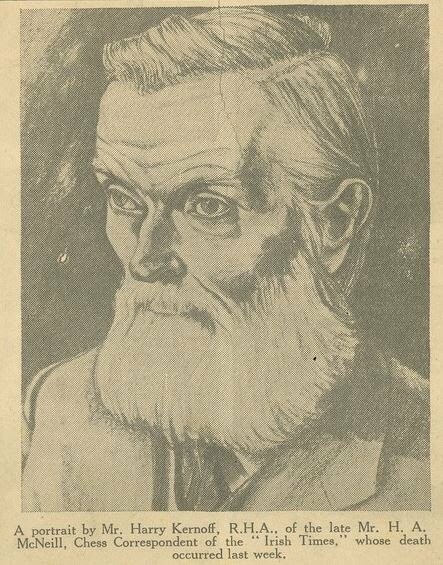 We’re delighted that we’ve now been able to add to this article the only surviving image of the architect, from The Wilson’s collection. On 18 February, Steven Blake is giving a talk entitled Who Built Pittville? This event is jointly hosted by the Friends of Pittville and the Holst Birthplace Museum – see here for more details. Steven is also busy investigating the architects, builders, and buyers of Pittville houses built between 1860 and 1890. Please help if you receive a request from him to view your house deeds, as these contain vital information. The Pittville History Works database project is reaching the end of its work on Clarence Square (fifty houses, whose inhabitants we are recording using the ten-yearly censuses and annual street directories from the 1830s to the early twentieth century). At present all of the details from the street directories for the Square are available online, and almost all of the census data. As an example, see this page for No 11 Clarence Square. At present we are busy tying this all together by giving all of the 19th-century residents unique identifying numbers, so that we can plot their movements from year to year. Once this is all done, we’ll be adding more locations and links to the Old Town Survey map on the site. At the same time, work is also progressing on Wellington Square. When we have finished Clarence Square, we plan to notify its present-day residents and request photos, reminiscences, documents, etc. So please do help if you live in the square or know someone who does. Some members of the group have also been involved in another significant Cheltenham history venture. 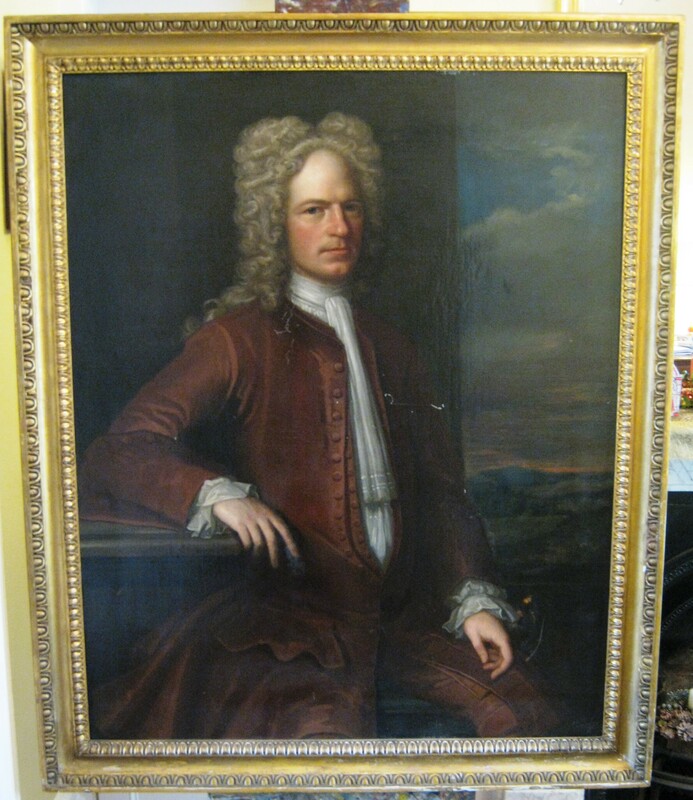 The only known surviving portrait of one of the founders of Cheltenham’s first spa, Captain Henry Skillicorne, was recently put up for auction in Cheltenham. It has now been acquired for The Wilson, and should be on show there in the New Year. One last thing: you don’t have to be a member of the Friends of Pittville to receive these updates, but even an online project like ours has hidden costs and we have no other sources of funding apart from a small budget from the Friends. If you aren’t a member, and would like to support the Friends of Pittville and the History Works group, please consider joining. You can download a membership form from the Friends of Pittville website here. A number of houses in Pittville have one of these distinctive Wellington door knockers. I decided to commence my (low-key) research by seeking out ironmongers and manufacturers of door furniture who have been in business since the late 18th century. For example W. Boulton and Co. (later, and more familiarly, known as Boulton & Paul) commenced trading in Norwich in 1797, while Archibald Kenrick started to trade in the 1760s. Manufacturers of cast-iron products since 1791, Kenrick continue to trade from their original site in West Bromwich. Fortunately Kenrick’s archives have been preserved: the ‘Kenrick Collection’ is now held in Dudley by the Black Country Living Museum. 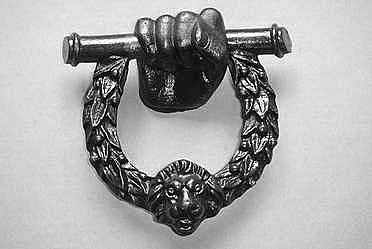 Their Senior Curator confirms that while the ‘trend’ did not start with Kenrick it is also thought possible that Wellington door knockers (which were not uncommon throughout Europe) “may” have first emerged on the Continent rather than in Britain. I continue investigations into manufacturers in England, Ireland – and abroad, mindful that the ‘trend’ for possessing a Wellington door knocker may initially have had a ‘novelty’ market appeal alongside a wish to celebrate the achievements of a man many regarded as a national hero. Please get in touch if you have one of these door knockers or can help with this research. For the past week we have been playing host to Captain Henry Skillicorne (1678–1763). It’s all thanks to Jenny Ogle, the Queen of the Friends of The Wilson (Cheltenham Art Gallery and Museum). Jenny heard on the grapevine that a Cheltenham hotel was selling off some of its pictures, including a forgotten three-quarter length portrait of the Captain, one of Cheltenham’s founding fathers, which had graced a bar there for many years. Jenny was stung into action, and she and Hilary went off to the auction with a view to securing the portrait for the public to own and see at The Wilson. 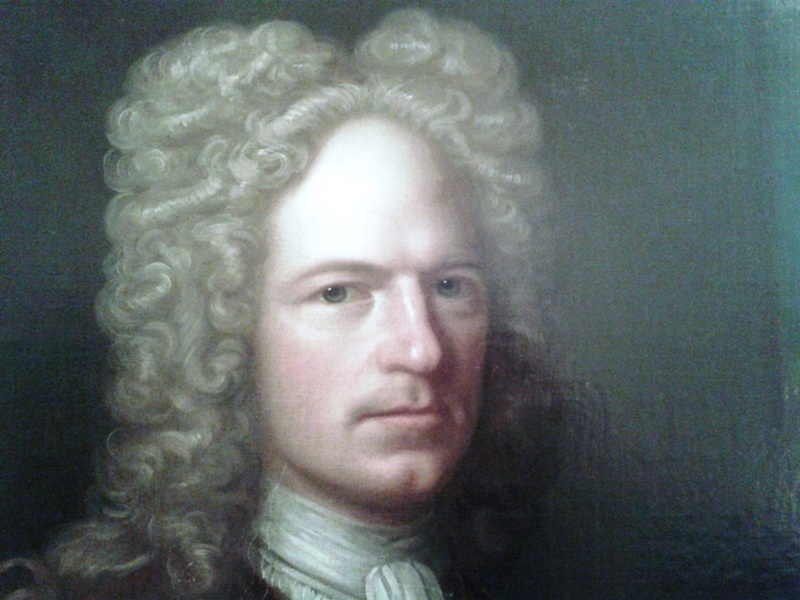 The dashing sea-captain Henry Skillicorne (1678–1763) came from the Isle of Man and spent his career in Bristol running merchant ships for Mr Jacob Elton to and from Zante (Zakynthos) and the “Currant Islands” in the Ionian Sea – and further afield – in the early eighteenth century. 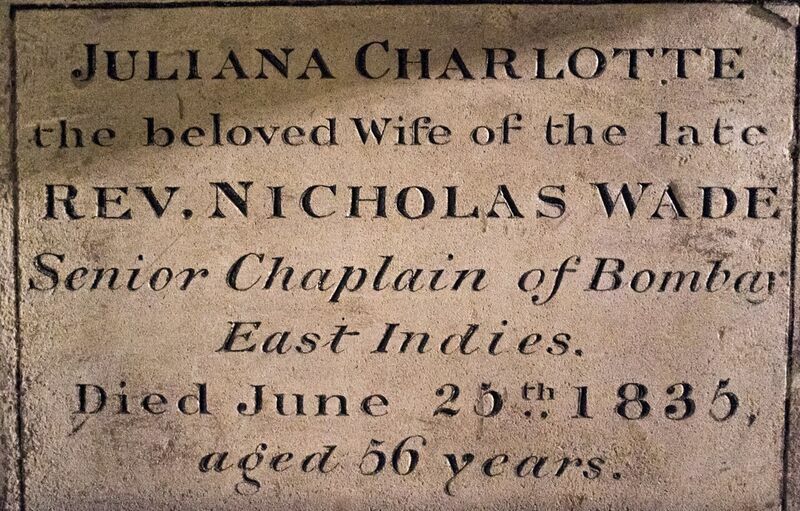 When he retired from a life on the ocean wave, Henry met and married Elizabeth Mason in Bristol (his second wife) and through her inherited property in Cheltenham, at the spot where the first mineral springs were found. He moved to Cheltenham in 1838 and set about marketing the town as a spa, building a pump to regulate the flow of spring water, and generally contributing to the development of Cheltenham’s elegant central walkways. The JJON web site (jjon.org) has just been updated with several new articles. Terence Killeen extends his investigations into the lives of Alfred and Marion Hunter with more information on Alfred Hunter’s predilection for retailing patent medicines and patent inventions: ‘Fitz-Epsykure’: The further adventures of Alfred and Marion Hunter. The Ormond Hotel has been in the news recently, as developers sought to demolish the present building. But just how much of Joyce’s Ormond remains today? In Joyce’s Ormond Hotel Harald Beck looks at the history of the building in order to recreate the floor-plan and hence the movements of Bloom around the building, as described in detail in Ulysses. Elsewhere, he also explains the meaning and construction of the crossblind. John Simpson follows the life of Joyce’s Professor MacHugh (Hugh McNeill) from his early promise and the shadow of a professorship to his death in the 1930s in the Dublin workhouse, in The reluctant professor MacHugh.